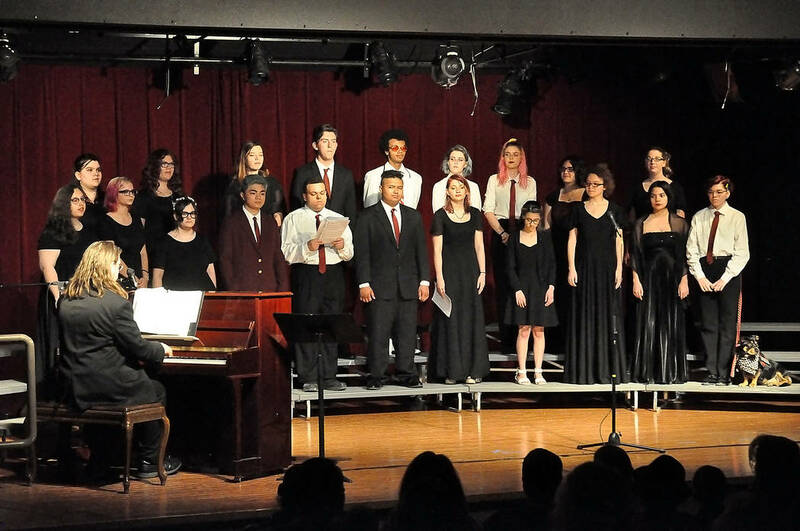 Horace Langford Jr./Pahrump Valley Times The Pahrump Valley High School Music Department held its Choral Spring Concert on March 26, 2019. The event was held at the high school's auditorium. 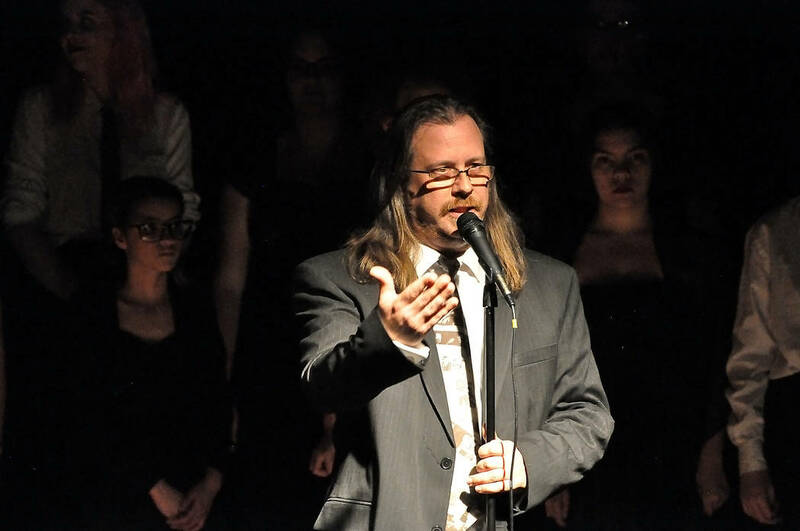 Horace Langford Jr./Pahrump Valley Times Students sing Mark Pattersons "The Garden of Music" at the auditorium at Pahrump Valley High School on March 26, 2019. 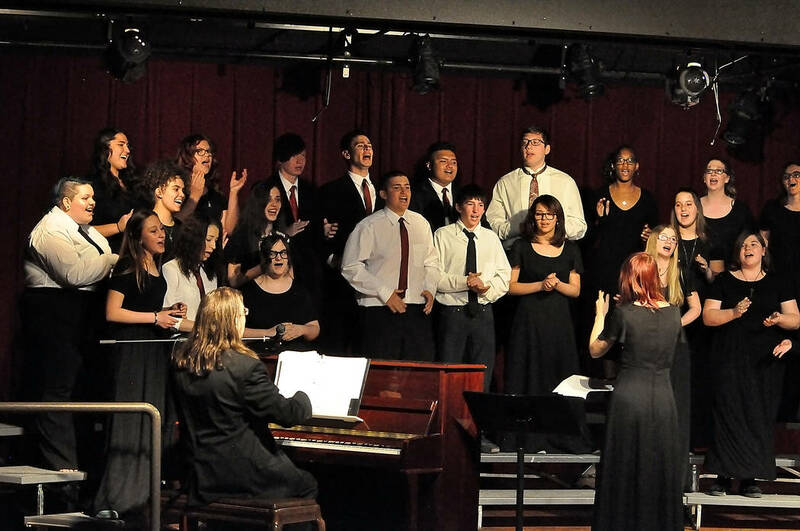 The opening song was sung during the high school's Choral Spring Concert. 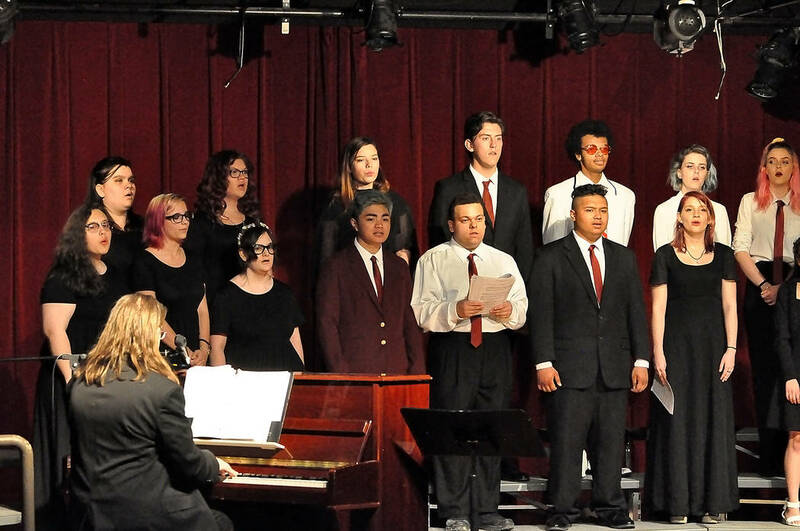 Horace Langford Jr./Special to the Pahrump Valley Times The Pahrump Valley High School Music Department held its Choral Spring Concert on March 26, 2019. Several concerts are planned for April and May, including the music department's end of the year concert: "Music from Around the World." 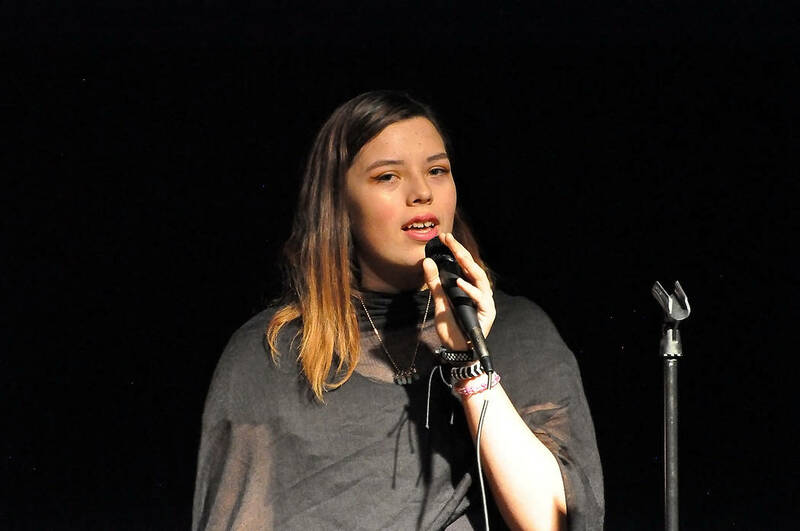 Horace Langford Jr./Pahrump Valley Times The Pahrump Valley High School Music Department held its Choral Spring Concert on March 26, 2019. 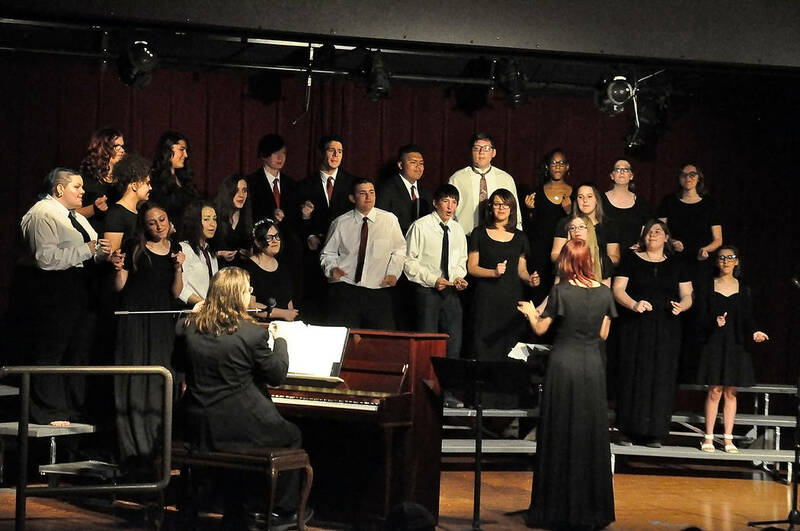 The event was filled with several performances by the high school's concert choir, select choir, beginning choir and soloists. Horace Langford Jr./Pahrump Valley Times Jordan Torres performs "Somebody that I Used to Know" during the Choral Spring Concert on March 26 at Pahrump Valley High School. Horace Langford Jr./Pahrump Valley Times During the March 26 Choral Spring Concert at Pahrump Valley High School, Soloist Jazeline Webster performs "Hallelujah"
Horace Langford Jr./Pahrump Valley Times This photo from the Pahrump Valley High School Choral Spring Concert shows Music Director Michael Wineski speaking to the audience in the auditorium. 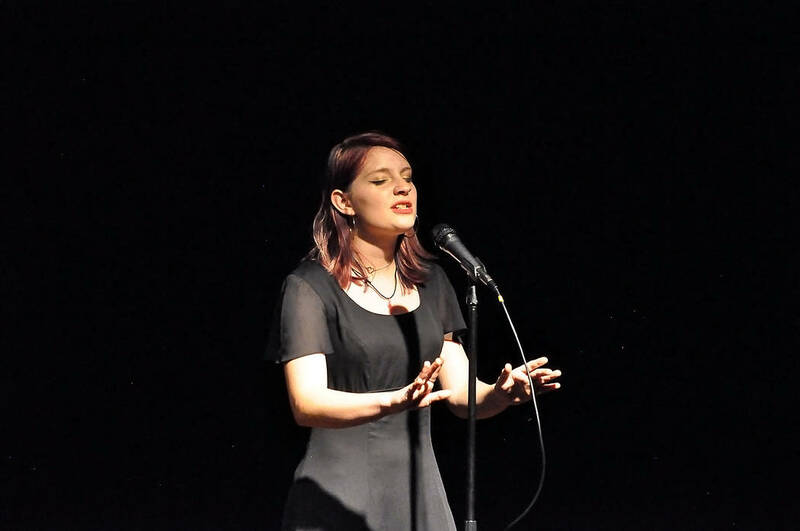 Horace Langford Jr./Pahrump Valley Times Calista Witten performs "Darling Dear" during the Pahrump Valley High School Choral Spring Concert on March 26. The students performed under the direction of Music Director Michael Wineski. 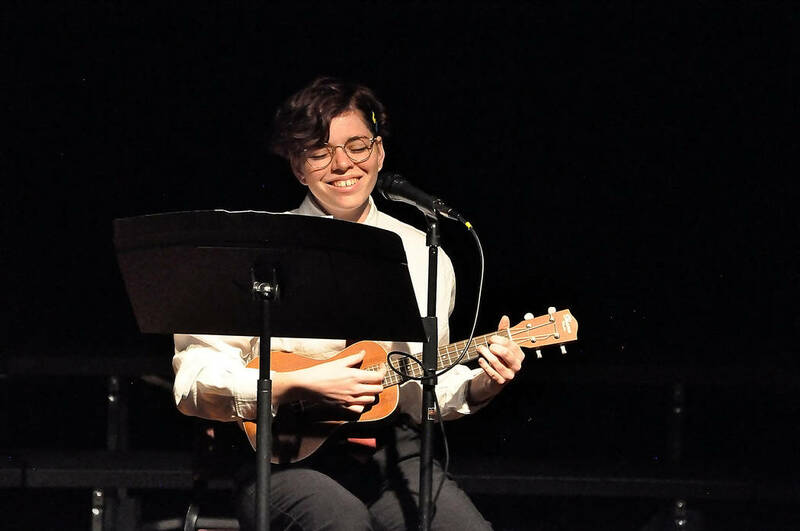 Students performed a variety of selections, including music made popular by the Mamas &the Papas, Journey, Queen, Eric Clapton, Billy Joel and more. Other music from around the world was performed. Admission to the event was $5. Go to the Facebook page of the Pahrump Valley Times to see videos of the students performing. 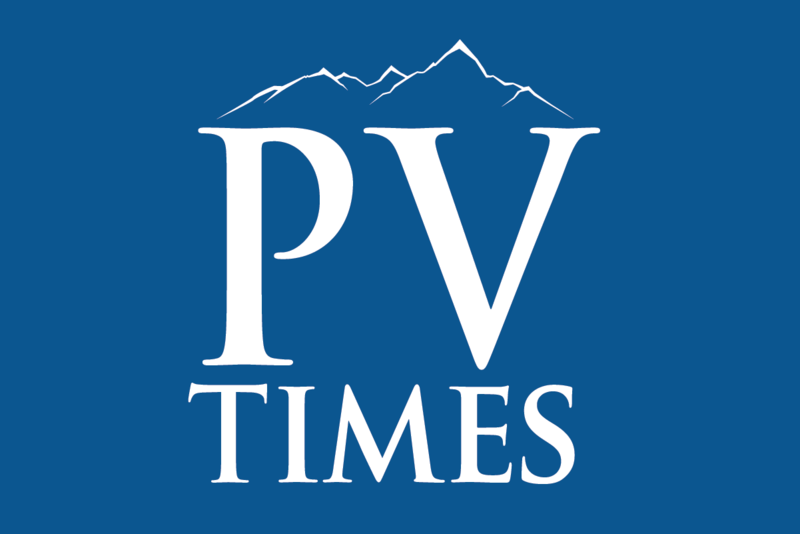 Several more concerts are planned at Pahrump Valley High School in the coming weeks, according to the event program. They include Travis Brass: U.S. Air Force Band of the Golden West at 7:30 p.m. April 18 in the school auditorium, the Show Choir Debut Concert at 6 p.m. May 7 in the school auditorium, a “Musicapalooza” at 6 p.m. May 13 in the school gymnasium and a Music from Around the World Concert at noon May 18 in the high school courtyard. For more information, see the school’s website or go to bit.ly/2HXCVwy on the web.